Nelson Peltz will join Aurora Cannabis as a strategic adviser to help the company lock in partnerships and expand internationally – a move seen as a major vote of confidence for the Canadian company and broader marijuana industry. In exchange, the Edmonton, Alberta-based company will grant Peltz options to purchase almost 20 million shares in the company at 10.34 Canadian dollars ($7.73) apiece – making him the second-largest shareholder, if exercised. Peltz is co-founder of New York-based multibillion-dollar asset management firm Trian Fund Management. He also is director of Procter & Gamble and chair of fast-food holding company Wendy’s Company. The deal does not involve Peltz joining Aurora’s board. Aurora’s move to bring in Peltz comes after competitors Canopy Growth and Cronos Group locked up multibillion-dollar investments from respected non-cannabis companies. Peltz immediately increases the likelihood of strategic partnerships, according to analysts. “We believe he could be instrumental in facilitating discussions with large (consumer packaged goods) companies,” GMP Securities analyst Martin Landry wrote in a note to investors. 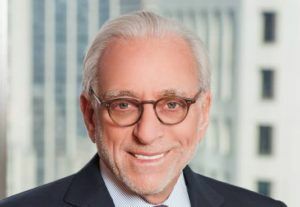 He said Peltz’s firm Trian has been involved with a number of internationally leading CPG companies such as PepsiCo, Dr Pepper Snapple, Kraft Foods and Heinz. Cowen analyst Vivien Azer said Peltz will open doors for Aurora. “Peltz brings a network of relationships with large potential strategic companies that (Aurora) could partner with across medical and consumer applications,” she said. Peltz’s stock options will vest ratably over a four-year period on a quarterly basis, Aurora said in a news release. Peltz may exercise any portion of the option before the seventh anniversary of the date of grant.